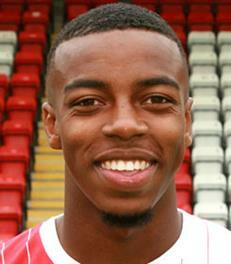 Tyrone Williams was the first apprentice to graduate from the Harriers Academy squad in 2013. The young defender turned professional in July of that year and was almost immediately loaned out to Sutton Coldfield to gain some valuable experience. Following further loan spells he finally made the breakthrough into the Harriers first team in the 2016-17 season and established himself as an important member of the team. After five years with the Harriers he left us to join up with Solihull Moors for an undisclosed fee.